(TibetanReview.net, Oct19, 2015) – In a rare instance of an official in Chinese ruled Tibet being punished for graft, a regional-level leader has been removed from his post, setting the stage for his criminal investigation and judicial trial. China’s official Xinhua news agency reported Oct 17 that Ngoga, deputy head of the Tibet Autonomous Region’s Administration of Work Safety, had been removed from his post for “serious discipline violations”. Citing the regional discipline inspection commission, the report said the former deputy commissioner of Nagqu (Tibetan: Nagchu) Prefectural Administrative Office, had accepted bribes and committed adultery. 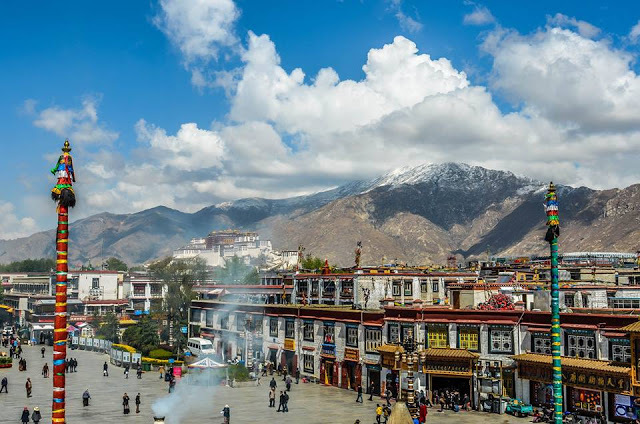 Corruption has always been rampant in all parts of Chinese ruled Tibet and corruption among ethnic Tibetan officials take place only under the patronage of their more corrupt Chinese bosses. However, corruption is rarely reported, investigated, or punished there because China’s overriding preoccupation has been to suppress anything seen as an indication of Tibetan opposition to its rule. The report said Ngoga’s case had been passed to the judiciary. In China, party officials can be punished under the country’s criminal justice system only if authorized by the party through the relevant level of its discipline inspection commission. Under Chinese President Xi Jinping’s massive ongoing anti-corruption campaign, seen by observers as a tool to consolidate his factional and personal power, very few officials in Tibet have been reported punished.